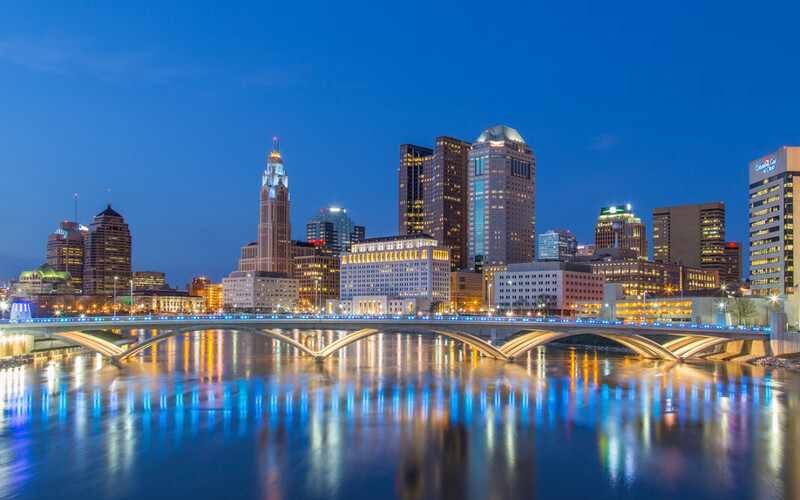 Ohio Baptists make a big jump in their CP split, and we examine 10 important planks in the Democratic platform that impact Southern Baptists. This week’s podcast is sponsored by Southeastern Seminary’s new GO certificates. GO certificates are specifically designed to equip leaders in the church with valuable training for all people at any level of experience. This program provides sound teaching with practical application in an efficient format that can begin at any time and will fit even the busiest schedules. Southeastern wants to prepare all church members to grow in their knowledge of Scripture and to live out the Great Commission wherever they are. Start today and GO with Southeastern. 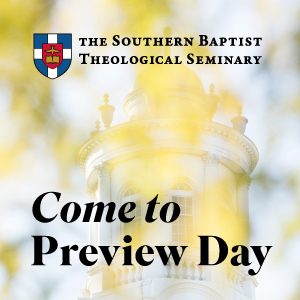 For more information, visit sebts.edu/gocertificates. Racism: Page 14-16: Democrats will fight to end institutional and systemic racism in our society. We will challenge and dismantle the structures that define lasting racial, economic, political, and social inequity. Democrats will promote racial justice through fair, just, and equitable governing of all public-serving institutions and in the formation of public policy. Democrats support removing the Confederate battle flag from public properties, recognizing that it is a symbol of our nation’s racist past that has no place in our present or our future. We will push for a societal transformation to make it clear that black lives matter and that there is no place for racism in our country. Immigration: Page 16-18: The United States was founded as, and continues to be, a country of immigrants from throughout the world. It is no coincidence that the Statue of Liberty is one of our most profound national symbols. And that is why Democrats believe immigration is not just a problem to be solved, it is a defining aspect of the American character and our shared history. Civil Rights: Page 18 and throughout: Democrats will always fight to end discrimination on the basis of race, ethnicity, national origin, language, religion, gender, age, sexual orientation, gender identity, or disability. We need to promote civility and speak out against bigotry and other forms of intolerance that have entered our political discourse. It is unacceptable to target, defame, or exclude anyone because of their race, ethnicity, national origin, language, religion, gender, age, sexual orientation, gender identity, or disability. Women’s Rights: Page 18-19: We are committed to ensuring full equality for women. Democrats will fight to end gender discrimination in the areas of education, employment, health care, or any other sphere. We will combat biases across economic, political, and social life that hold women back and limit their opportunities and also tackle specific challenges facing women of color. After 240 years, we will finally enshrine the rights of women in the Constitution by passing the Equal Rights Amendment. And we will urge U.S. ratification of the Convention on the Elimination of All Forms of Discrimination Against Women. Respecting Faith and Service: Page 19: Democrats know that our nation, our communities, and our lives are made vastly stronger and richer by faith in many forms and the countless acts of justice, mercy, and tolerance it inspires. We believe in lifting up and valuing the good work of people of faith and religious organizations and finding ways to support that work where possible. Environment: Page 27-30: Democrats believe that our commitment to meeting the climate challenge must also be reflected in the infrastructure investments we make. We need to make our existing infrastructure safer and cleaner and build the new infrastructure necessary to power our clean energy future. To create good-paying middle class jobs that cannot be outsourced, Democrats support high labor standards in clean energy infrastructure and the right to form or join a union, whether in renewable power or advanced vehicle manufacturing. During the clean energy transition, we will ensure landowners, communities of color, and tribal nations are at the table. Healthcare: Page 34-38: Democrats have been fighting to secure universal health care for the American people for generations, and we are proud to be the party that passed Medicare, Medicaid, and the Affordable Care Act (ACA). Being stronger together means finally achieving that goal. We are going to fight to make sure every American has access to quality, affordable health care. We will tackle the problems that remain in our health care system, including cracking down on runaway prescription drug prices and addressing mental health with the same seriousness that we treat physical health. We will fight Republican efforts to roll back the clock on women’s health and reproductive rights, and stand up for Planned Parenthood. And we will tackle the epidemics of substance abuse and gun violence, which each claim tens of thousands of lives every year. Gun Control: Page 39: With 33,000 Americans dying every year, Democrats believe that we must finally take sensible action to address gun violence. While responsible gun ownership is part of the fabric of many communities, too many families in America have suffered from gun violence. We can respect the rights of responsible gun owners while keeping our communities safe. To build on the success of the lifesaving Brady Handgun Violence Prevention Act, we will expand and strengthen background checks and close dangerous loopholes in our current laws; repeal the Protection of Lawful Commerce in Arms Act (PLCAA) to revoke the dangerous legal immunity protections gun makers and sellers now enjoy; and keep weapons of war—such as assault weapons and large capacity ammunition magazines (LCAM’s)—off our streets. We will fight back against attempts to make it harder for the Bureau of Alcohol, Tobacco, Firearms, and Explosives to revoke federal licenses from law breaking gun dealers, and ensure guns do not fall into the hands of terrorists, intimate partner abusers, other violent criminals, and those with severe mental health issues. There is insufficient research on effective gun prevention policies, which is why the U.S. Centers for Disease Control and Prevention must have the resources it needs to study gun violence as a public health issue. Military and Veterans: Page 40-41: We are outraged by the systemic problems plaguing the Department of Veterans Affairs (VA). We will fight for every veteran to have timely access to high-quality health care and timely processing of claims and appeals. We must also look for more ways to make certain the VA provides veteran-centric care, such as providing women with full and equal treatment, including reproductive health services; expanding mental health programs; continuing efforts to identify and treat invisible, latent, and toxic wounds of war; treating post-traumatic stress; and expanding the post-9/11 veteran’s caregiver program to include all veterans. Page 25: Mentioned with judges. Page 37: Securing Reproductive Health, Rights, and Justice; Hyde Amendment – And we strongly and unequivocally support a woman’s decision to have a child, including by ensuring a safe and healthy pregnancy and childbirth, and by providing services during pregnancy and after the birth of a child, including adoption and social support services, as well as protections for women against pregnancy discrimination. We are committed to creating a society where children are safe and can thrive physically, emotionally, educationally, and spiritually. We recognize and support the importance of civil structures that are essential to creating this for every child. Page 46: repeal Helms Amendment and global gag rule to provide safe, legal abortion in the developing world. What about other issues we focused on in St. Louis? What is there about racial tension? What about the refugee crisis? Page 47: The world is experiencing a major refugee crisis with more than 60 million people displaced as a result of conflicts in the Middle East, Africa, and Eastern Europe. We support President Obama’s call for an international summit to address this crisis so that every country assumes its responsibility to meet this humanitarian challenge. While Donald Trump proposes banning Muslim refugees, we will look for ways to help innocent people who are fleeing persecution while ensuring rigorous screening and vetting. Page 49-50: A strong and secure Israel is vital to the United States because we share overarching strategic interests and the common values of democracy, equality, tolerance, and pluralism. That is why we will always support Israel’s right to defend itself, including by retaining its qualitative military edge, and oppose any effort to delegitimize Israel, including at the United Nations or through the Boycott, Divestment, and Sanctions Movement. We will continue to work toward a two-state solution of the Israeli-Palestinian conflict negotiated directly by the parties that guarantees Israel’s future as a secure and democratic Jewish state with recognized borders and provides the Palestinians with independence, sovereignty, and dignity. While Jerusalem is a matter for final status negotiations, it should remain the capital of Israel, an undivided city accessible to people of all faiths. Israelis deserve security, recognition, and a normal life free from terror and incitement. Palestinians should be free to govern themselves in their own viable state, in peace and dignity. What about women and the draft?